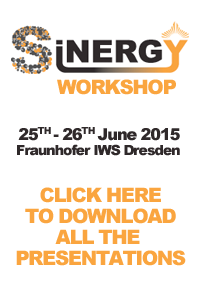 The 2nd Sinergy Workshop was held inside the Energy Harvesting Systems - FlexTEG" - June 25-26, 2015 Fraunhofer IWS Dresden. Energy harvesting is a means of powering wireless electronic devices by scavenging ambient energy sources such as heat, vibrations, electromagnetic radiation or motion, and their conversion into useable electrical energy. Energy harvesting devices are potentially attractive as replacements for batteries in low power applications. 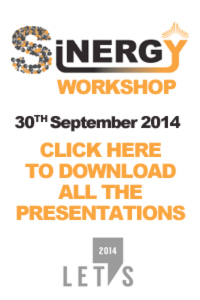 On the first day, 4 European projects presented their work in the field of energy harvesting and storage. On the second day, the focus was on flexible thermoelectric devices and energy management. The workshop has bring together leading experts in this field and newcomers interested in this fascinating and vibrant field. Ample time for discussion and networking has made this event a great marketplace for new ideas and business in energy harvesting.